Once we have encountered the Lord Jesus, how do we keep growing in Christ? How do we let the Lord mold us and make us into missionary disciples capable of spreading the gospel? 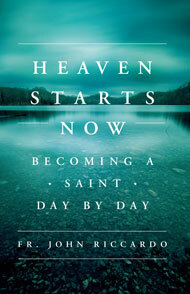 Instead of just trying to get into heaven, how do we live the life of heaven now so that we can become saints? In this book, Michigan pastor Fr. 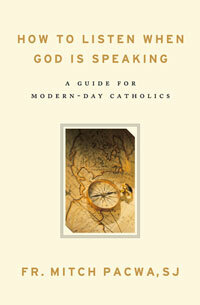 John Riccardo helps us dive into the Scriptures so that we can apply them to our daily lives. In his inspiring and incisive way, Fr. Riccardo addresses the obstacles we all face in becoming mature disciples. How do we learn to forgive? How do we combat fear and understand suffering? How do we worship the Lord, love others as Christ loves us, and fully surrender our lives to God? If you’ve enjoyed Fr. Riccardo’s gifts of teaching and preaching through his broadcasts and podcasts, this book is for you!